Orlando theme parks offer more than just shows and rides. They also offer amazing interactive experiences. Kids of all ages can jump into immersive adventures throughout the parks. Here's our list of the 5 best shows where kids get to become part of the action. 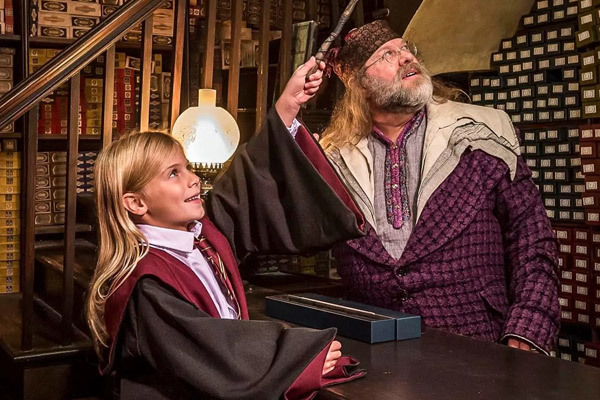 Exploring the Wizarding World of Harry Potter with your own interactive wand is the greatest way to feel like a true wizard. Ollivanders, located both in Hogsmeade and Diagon Alley, is the best place to get one. Small groups of guests are escorted into a wand selection room where you can select a wand – or rather, a wand will choose you. Your wise wizard wandmaker will guide you through the process, allowing you to try out different wands. You may break something or knock a few boxes off the shelves on your way to finding that perfect wand. You'll know it's the right one when the wind starts blowing and the music swells, creating a moment everyone in the room won’t soon forget. Kids delight in talking to their favorite characters from Disney-Pixar's Finding Nemo and Finding Dory in this interactive animated show. When kids enter the theater at The Seas with Nemo & Friends in Epcot, they're probably expecting to see a regular show. But watch your child's face light up when the characters start addressing them individually from the screen. Kids can ask Crush the tubular turtle questions about what it's like to live in the sea and he'll reply back with an answer. Every show is different and this real-time animated program is just as hilarious as it is technologically impressive. 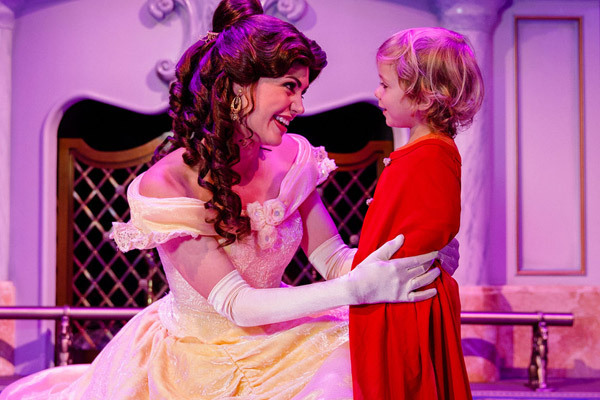 The most magical way to meet your favorite characters from Disney's Beauty and the Beast. Magic Kingdom Park. Even better: Here, kids get the chance to become a part of the story. Enter Maurice’s cottage in the village and then magically travel through a mirror all the way to Beast's castle. There, Belle and Lumiere the enchanted candlestick need everyone's help in telling a story. Kids and volunteers use various props to help reenact the story of how Belle and Beast first met and fell in love. When story time is over you can meet with Belle for photos and autographs and everyone who participated will receive a special keepsake. Enter the world of Monstropolis where monsters have given up scaring and are now looking to make you laugh instead. Mike Wazowski and Roz need the audience's laughter to help power their city so they're hosting this comedy show just for us humans. Watch as animated comedians riff and make jokes along with the audience in real-time. Whether they're poking fun at specific members of the crowd, telling knock-knock jokes with a child volunteer or even reciting jokes sent in from the audience, this humorous show is always offering something new. With just the right balance of family-friendly improv and perfect comedic timing, this is one everyone in your family will enjoy. One of the greatest shows at Disney World is the Festival of the Lion King, a high-energy Broadway-style production performed in the round. Guests sit in one of four sections, each represented by their own animal. Everyone gets to make that animal's sounds and motions at different parts of the show, led by volunteers from the crowd. In addition to everyone hooting and hollering like animals, kids love singing along to their favorite songs from The Lion King, like "I Just Can’t Wait To Be King" and "Hakuna Matata," led by the lively little meerkat Timon. The finale features an incredible rendition of "Circle of Life" with dozens of dancers, performers and puppets onstage together.